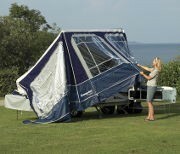 Camperlands are proud to be appointed as importer and sole UK distributor of the multi-award winning Isabella Camp-let Trailer Tent Range. 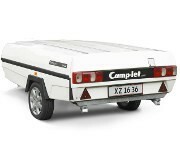 Camp-let Trailer Tents are built on a compact, lightweight trailer and have a simple pram hood design which ensures they can be easily towed by small cars and manoeuvred and erected single handed by almost anyone. They are made to the highest possible standards using only carefully selected materials from preferred suppliers. Camp-let demonstrates a commitment to quality and attention to detail rarely seen in the camping industry which ensures they last 2 to 3 times longer than most. 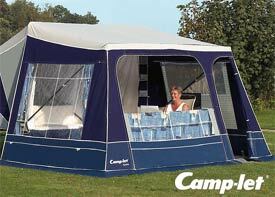 The Camp-let models use the same quick erect design and cater for couples to large family groups. They can also be further tailored with a range of accessories and options to better meet your requirements. Explore each of the sections below to learn more about the Camp-let design and quality and to find out which model would best suit your family. 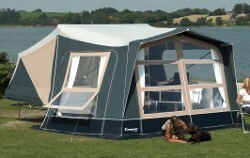 The Camp-let Classic is very similar to the previous Concorde but is now manufactured in top grade Acrylic by Isabella. 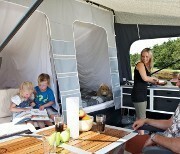 High quality kitchen, hard top and on the brand new 5th generation trailer makes the Camp-let Classic one to consider. Our current best seller. 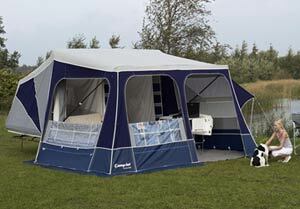 The Isabella Camp-let Dream is designed for ease of use. The compact design is perfect for a family of 4 or a couple who like space. New for 2019. The Isabella Camp-let Passion provides you with unlimited access to enjoy the great outdoors. 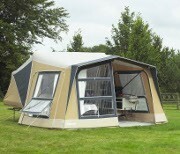 Ideal for a family of 4 but this model can be extended to sleep 8 with additional annexes and extension awnings. The Premium is top of the Camp-let range and fit for a king. 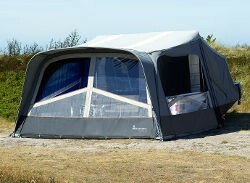 At 18 meters square when fully erected the Premium can be extended indefinitely with the modular awnings and annexes. Made from top grade Acrylic by Isabella.